Students from all departments welcome. Each year, we offer a fieldwork-based course that allows undergraduates to explore an urban Bay Area site using methods from architecture, city planning, the arts, performance, and the humanities. 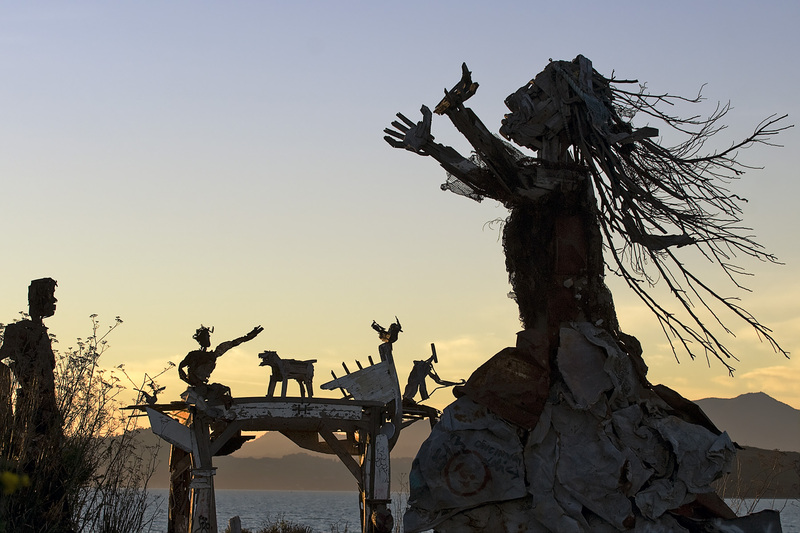 This year, the Research Studio will focus on the Albany Bulb, a construction debris landfill in San Francisco Bay known for its informal art, spectacular views, and for many years, a longstanding homeless community. What will the Bulb become? Using methods of urban and natural observation and experiments in performance and documentation, students will seek to understand this complex space. Fulfills the studio requirement for the Undergraduate Certificate in Global Urban Humanities. Priority enrollment to students pursuing the certificate. Application required. Please fill out this application form and return to Susan Moffat at susanmoffat@berkeley.edu.